Mark Kolke has been working in real estate finance, management, leasing, sales and consulting work in Alberta for thirty years. His license to practice real estate in Alberta is sponsored by MaxWell South Star Realty where he is an Associate dealing in commercial, residential and agricultural properties. He moved back to Calgary eleven years ago after spending the previous twenty-seven years in Edmonton. He advises tenants, buyers, developers and institutional clients on issues involving residential developments, commercial real estate and public private partnerships (P3s). 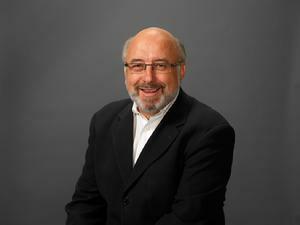 Mark Kolke is a real estate professional, licensed to practice in Alberta. He specializes in office and industrial leasing, representing tenants in the search for premises to meet their needs, negotiates with landlords, property managers and landlord's agents on behalf of his clients. He also assists buyers and users to acquire land, investment properties, build-to-suit and education facilities. Mark Kolke lists properties offered for Judicial Sale on behalf of lenders engaged in foreclosure actions to realize on security for recovery of defaulted mortgage loans. Mark has served on numerous non-profit boards and the REIX Board. He is an observer of the market and publishes a newsletter - FACILITYCalgary which is distributed free to subscribers weekly. He also writes; a daily column, a weekly feature story. He is a freelance writer-for-hire, coaches writing and public speaking and leads the MaxComm Communications team, a consortium of writers. He writes as he speaks - clearly, effectively and passionately, primarily about commercial and residential real estate, oil and gas and social issues. Commercial Real Estate Specialist; leasing office & industrial space in Calgary and Edmonton is our primary focus, acting for tenants and buyers of office and industrial space and for sellers of land.